Have you installed your winter tires? Winter is around the corner, and if you are in a cold-weather region such as Canada that sees ice and snow, you will have to change over to winter tires for maximum safety and traction before the temperatures drop to freezing. One of the greatest challenge facing many motorists each year is whether to use all-season tires during winter or buy winter tires. The needs of every driver are different based on the road and weather conditions they encounter throughout the year. The names appear to mean the same thing, but these two kinds of tires deliver significantly distinct results – and only one of them is best for year-round use. In fact, many may wonder why winter tires would be a perfect choice when you’re already riding on all-season tires with a M+S (mud and snow) rating, but there are some clear differences between a winter tire and an all-season tire. Although all-season tires are designed to perform sufficiently in all weather conditions, they simply are not the best choice for winter driving. So, what is the best option for maximizing traction in the winter driving conditions? The best tires for winter (or winter-like) conditions will always be winter tires. 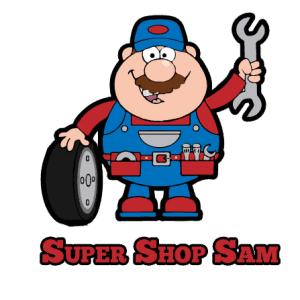 While purchasing more than one set of tires can be expensive, the benefits, including your safety and comfort, are worth it, especially when you buy the correct type of tires for the conditions. If you aren’t sure of the tires you should go for, read on to learn about the difference between all-season, and the winter tires. And why all-season tires are not the best for winter. First and foremost, despite the name, all-season tires aren’t optimal for all four seasons. Most in the automotive industry have already started calling these tires “three-season tires” since they are only best for the fall, summer, and spring. In a nutshell, all-season tires aren’t suitable alternatives for the winter tires, primarily because they start to harden and lose their grip once temperatures fall below 10oC. Do not recycle your all-season tires just yet. The traction loss in the colder weather is not the result of sloppy design, but because the tread compound of all-season tires delivers sufficient traction under several driving conditions, like rainy, muddy, dry, or even snowy streets, as long as the temperatures don’t dip very low. All-seasons are primarily meant to provide you most of the benefits of winter and summer tires rolled into one. Also, they tend to be quiet, fuel-efficient, and durable that’s possibly why many new cars leave the factory with them. 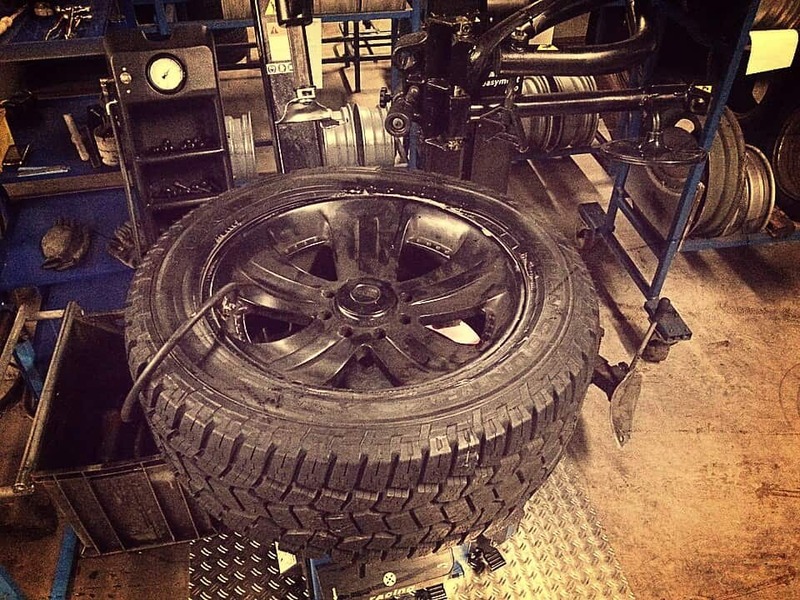 Unluckily, the process of manufacturing a tire which works adequately in many conditions requires compromise, and all-season tires cannot deliver the grip and tight handling of the summer tires or the superior safety and traction offered by the winter tires during ice, heavy snowfall, or the sub-zero temperatures. Verdict: All-season tires are versatile tires which are well-suited for use in the moderate temperatures. Based on your vehicle and driving style, you can use all-season tires during summer, but if you live in an area which gets a lot of snow and even cold weather, all-seasons cannot replace winter tires. If you reside in a country which gets battered by the icy and snowy conditions each year (like Canada! ), then you cannot overlook the value of the winter tires. In fact, provinces such as British Columbia and Quebec have passed laws which make it unlawful to drive without winter tires during the icy and snowy months of the year. Winter tires offer motorists better braking, traction, and handling in many or all winter conditions. They are designed with deeper grooves and threads and come with particular tire patterns which bite into the snow and ice to grip the road. Unlike all-season tires which often start to degrade at the temperatures below 10oC, winter tires maintain their traction and maximum grip in temperatures as low as -35oC, thanks to being made of rubber which was designed particularly for cold weather. If you are still not convinced, check out these statistics. One study carried out by the Quebec Ministry of Transport revealed that the stopping distance of a vehicle during winter conditions with the winter tires was 25 percent better than with all-season tires. Another study by Edmunds.com discovered the stopping distance 30 to 40% better. Better stopping distance means better collision prevention. However, you should not keep your winter tires on all year. The same rubber which is designed to be efficient in the cold weather will wear out faster in warm weather, so you need to switch to summer tires or all-season tires when your winter season is over. Verdict: Nothing beats the performance of the winter tires on ice and snow, so if you live in a cold region, they are an absolute must, even if you drive a truck or SUV with AWD. If you live in a moderate climate which experiences only the occasional snowfall and mildly cold temperatures, then it is right for you to use all-season tires. 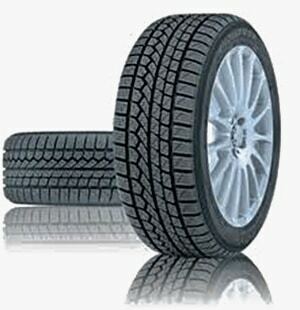 In general, the tires which you select for your vehicle fully depend on your budget and needs. If you are looking for the ideal tire which you do not need to think about all-year-long, an all-season tire is certainly your best bet. However, if you are interested in increased fuel economy improved performance, and the best handling and traction available, then a seasonal tire choice will certainly be your best bet. Of course, buying new tires is an investment, but it is an investment worth making if you want to get the most out of your car.